This package contains a complete set of mahjong tiles. 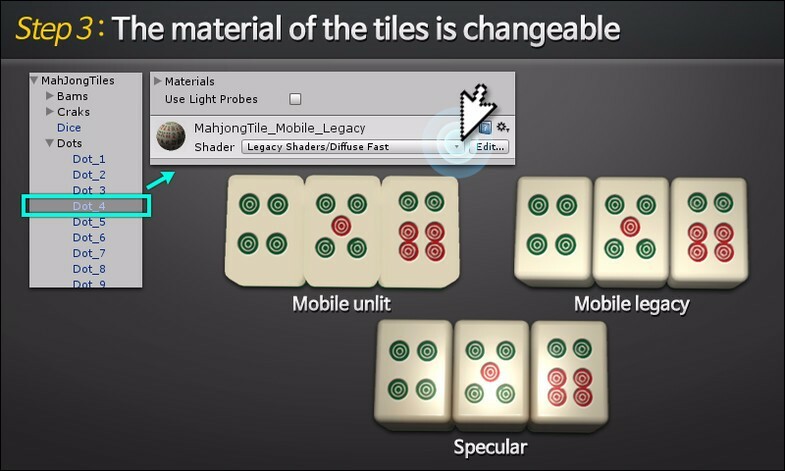 If you plan on creating a mahjong game and you don’t want to waste time designing the tiles, this package is for you. 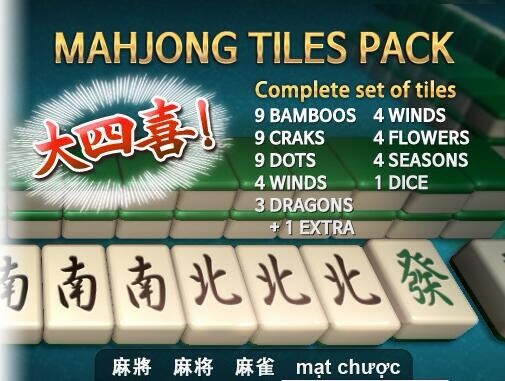 -This complete set of 43 tiles can be used to create any of the numerous Mahjong game variants. 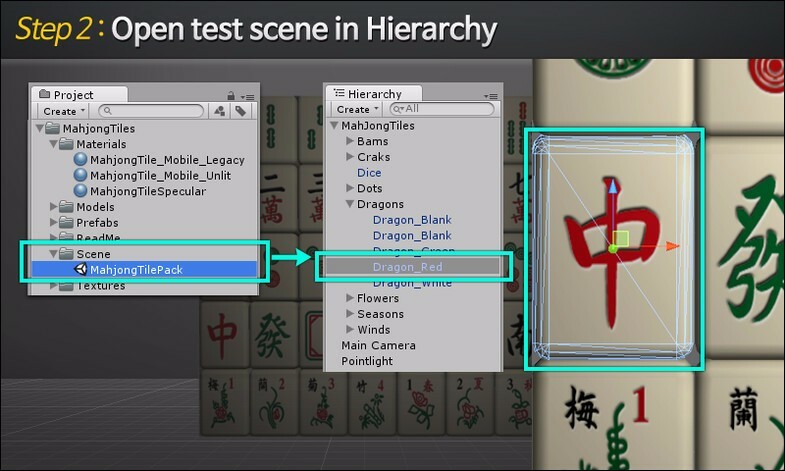 -There are only 236 tris in each tile. -There are only 44 tris in each dice. -All tile images are inside a single 1024 x 1024 pixel texture.